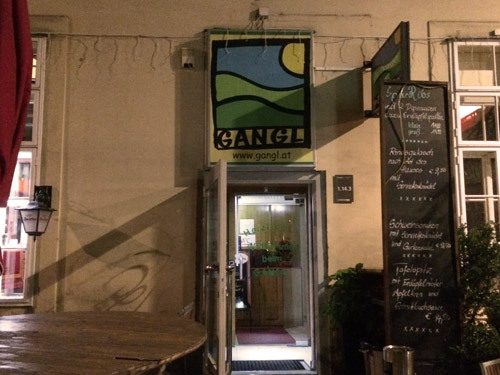 Yesterday was the monthly get-together event, Stammtisch, which took place at the Gangl bar, near the university campus, as it usually does. My class got there around 10 pm, since we had the evening class to finish, but you could see the people were enjoying themselves. They had made some teambuilding games, which seemed fun, it’s too bad we missed those. 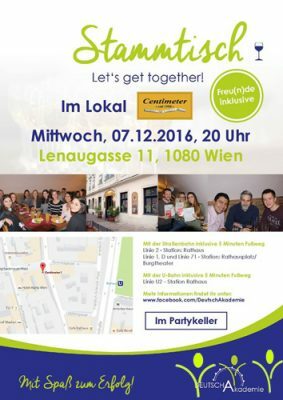 Stammtisch is a good opportunity to socialize and a nice way to meet new people, especially if you are new in Vienna and don’t have many friends here. If you haven’t been to one until now, I recommend you try it for yourself. 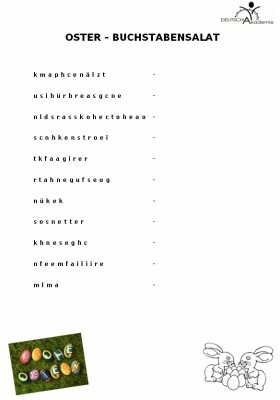 It is also a very nice exercise to speak in German in social situations. I went along with a few colleagues from the B2.2 class and our teacher, and shared some funny stories. What experiences have you had so far with Stammtisch? Let us know in the comments below! 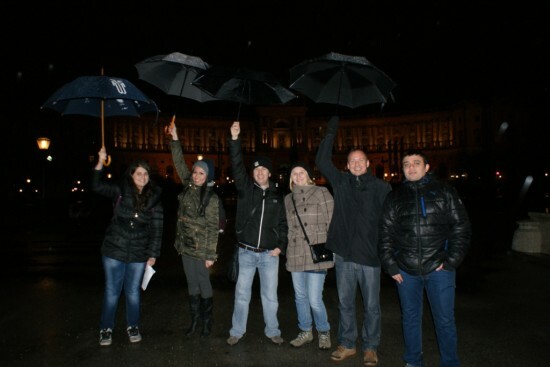 This entry was posted in GET TOGETHER-STAMMTISCH, Mein Deutschkurs, Tipp des Monats on 17. November 2017 by Andra Tanase. At Deusch Akademie we are not just having classes but we are also having fun. Why I say this? In the first week of each course of the month, you will be invited at a Stammtisch… what does this mean? They invite us all in a non-formal environment to socialize, meet new people from other classes, and enjoy an evening together. This month the Stammtish is at Bierheuriger Gangl in the old AKH (altes AKH). It is an easy to reach location, near Schottentor. You can take the subway to Schottentor and then the 44, 43, 33, 5 tram to Lange Gasse station. Searching the Bierheuriger Gangl on the internet, I’ve seen that a variety of food and drinks can be found here… if you like beer or wine, pork/ chicken or just some dessert, for sure you will going to find something that you’d like here. Besides the fact that maybe you will try a new place, you will have the opportunity to interact with many people, with different nationalities and backgrounds. 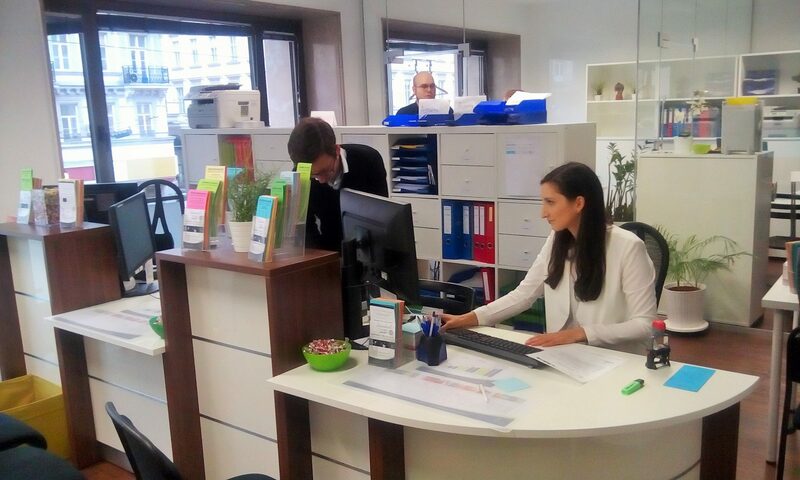 You will have the opportunity to practice the German language and to develop your public speaking. I can’t wait to see how their event will going to be and how many people will attend it. For me is a great opportunity to practice my communication skills and I’m happy that this kind of events are organized in a language school. Something else, if you are not comfortable about being alone with so many strangers around, you have to know that you can bring your friends at the event. 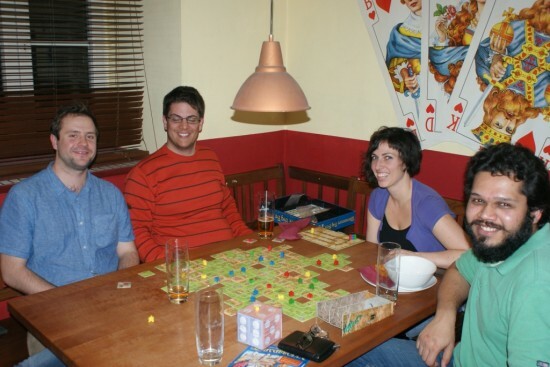 This entry was posted in GET TOGETHER-STAMMTISCH, Mein Deutschkurs on 16. August 2016 by Ivona Costan. 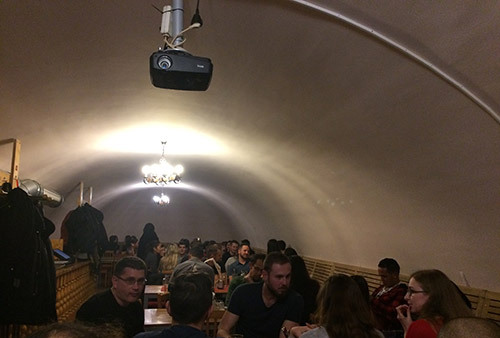 This entry was posted in Allgemein, GET TOGETHER-STAMMTISCH, Mein Deutschkurs and tagged Deutschakademie, ウィーン, オーストリア, ドイチュアカデミー, ドイツ語, 独語, 語学学校 on 17. March 2016 by Miyano Ito. 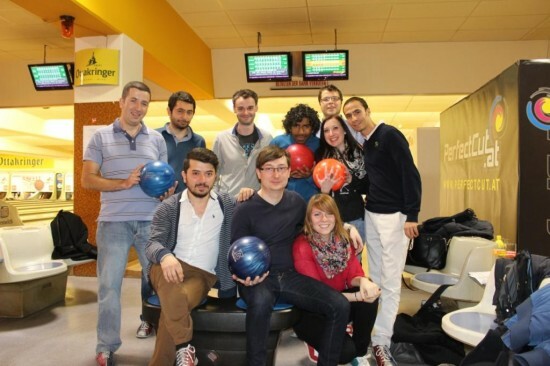 DANKE für den schönen Stadtspaziergang und den lustigen Bowlingabend! 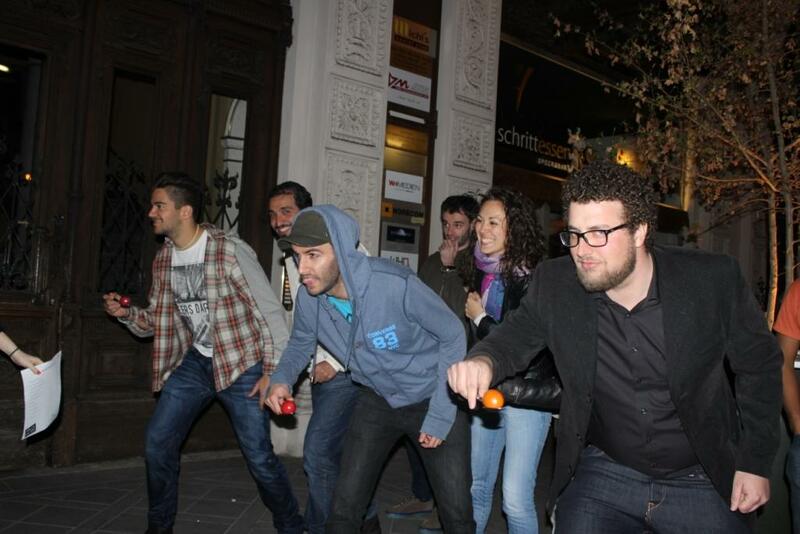 THANK YOU for the walk together and the funny bowling night! 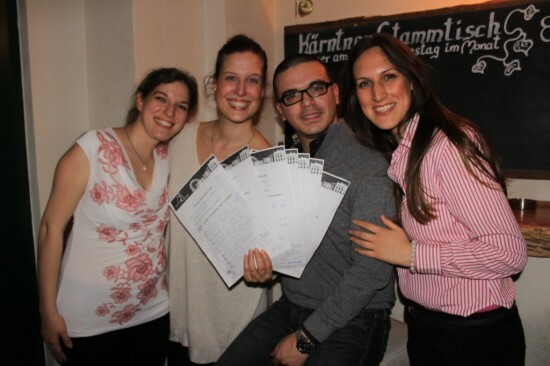 This entry was posted in Allgemein, GET TOGETHER-STAMMTISCH, Mein Deutschkurs on 27. March 2014 by DeutschAkademie. G E M E I N S A M & M I T S P A ß Z U M E R F O L G! 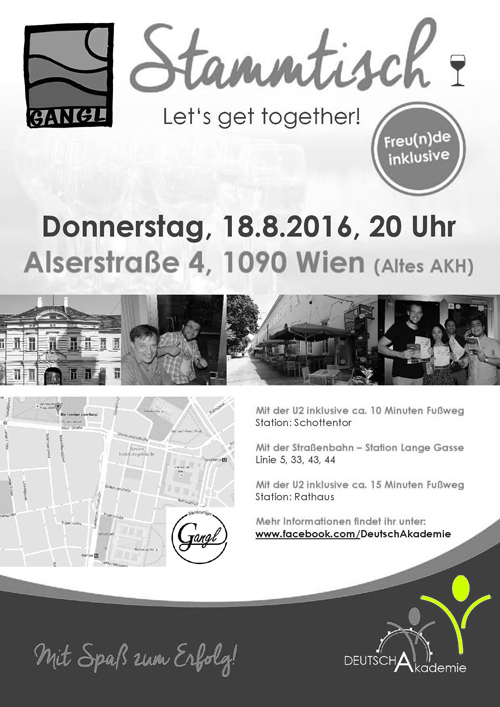 to see so many of you at the GET TOGETHER – STAMMTISCH. for the fun evening at Schrittesser in Vienna to ALL FRIENDS of DeutschAkademie! You all are fantastic and that is the reason why the Stammtisch was a great and international meeting with interesting and lovely people again. We wish you a great day and enjoy the photos! 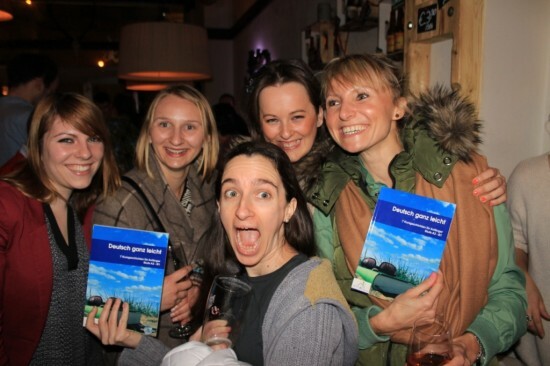 This entry was posted in Allgemein, GET TOGETHER-STAMMTISCH, Mein Deutschkurs on 24. March 2014 by DeutschAkademie. 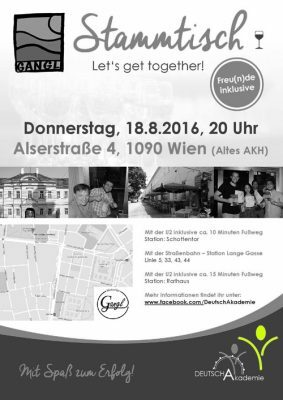 Alles “Halli Galli” beim Stammtisch in Wien…..
DANKE für den unterhaltsamen Stadtspaziergang und den bunten Spieleabend! THANK YOU for the entertaining walk together and the colorful game night! This entry was posted in Allgemein, Die besten Wien-Tipps, GET TOGETHER-STAMMTISCH, Tipp des Monats, Tipps zum Deutschlernen on 20. February 2014 by DeutschAkademie. Am 12.02.2014 war es wieder an der Zeit für den traditionellen GET TOGETHER – Stammtisch im Schrittesser in Wien. Was für eine Nacht: Es wurde viel gelacht und vor allem – VIEL DEUTSCH GESPROCHEN! :) HERZLICHEN DANK! 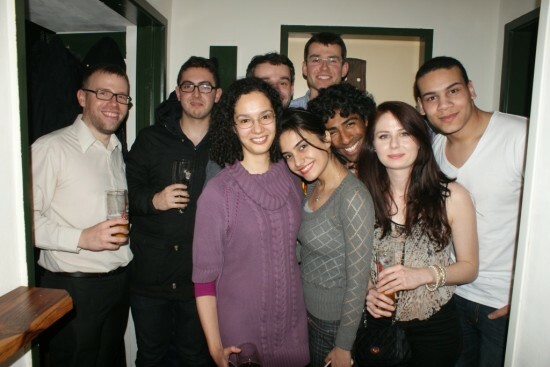 On February 12th it was again time for the traditional GET TOGETHER – Stammtisch at Schrittesser in Vienna. What a night: There was a lot of laughter and above all – MUCH GERMAN WAS SPOKEN! :) THANK YOU! This entry was posted in Allgemein, GET TOGETHER-STAMMTISCH, Mein Deutschkurs, Tipp des Monats on 19. February 2014 by DeutschAkademie. VERY SPECIAL. LIEBER GEMEINSAM ANSTATT EINSAM. Es gibt immer einen Grund, neue Leute kennenzulernen! Wir schaffen den Anlass dafür. There is always a reason to meet new people! We are creating the opportunity to do so. DeutschAkademie Events 2014. 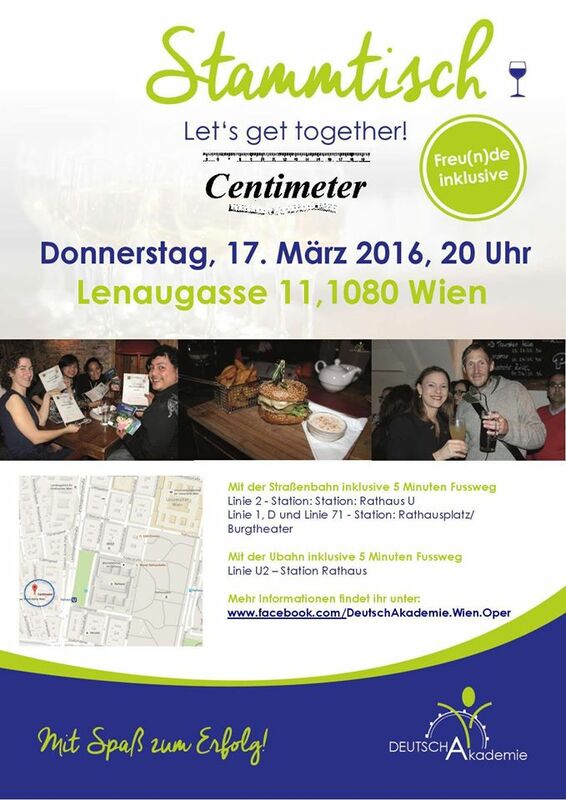 This entry was posted in Allgemein, Die besten Wien-Tipps, GET TOGETHER-STAMMTISCH, Tipp des Monats on 5. February 2014 by DeutschAkademie.